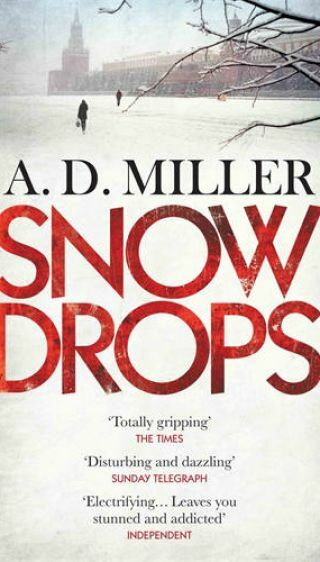 I’ve finally got around to reading AD Miller’s Snowdrops. I bought it when the Man Booker shortlist was first announced but it has sat on my book pile ever since as I never quite fancied reading it. Proof of the purchasing power of Man Booker nominees I guess. With a 4 hour coach journey lying ahead of me, I packed the book and read most of it on my trip and finished it this morning. I’ve only had a quick look at some other reviews but I think I would concur with many of them – there are a lot better thrillers out there. I know that some people have criticised the style of writing. This didn’t bother me too much once I had got into the book. I think it echoed some of the sparseness of the Moscow landscape and the bareness of expat existence. And it was this aspect of the novel that was most convincing. I too have lived as an expat in a foreign country where the only decent furniture can be found in Ikea and the culture of the country can isolate you from your moral framework. It’s just a shame that the plot didn’t give justice to the power of the writing. Not wanting to spoil the book for those who haven’t read it, suffice to say you would have to be a complete idiot to fall for the scam of the central narrative. And once more the quotations on the back cover don’t help. “Graham Greene on steroids” it isn’t. It makes me want to hark back to the Russia of John Le Carre where a modicum of cunning was needed just to survive the Cold War machinations. That said, I’m off to see the new adaptation of Tinker Tailor Soldier Spy tonight. I can’t wait. I’m one of the reviewers who was underwhelmed by this book – for me it was not a great crime fiction plot, nor was it “literary” fiction (of the type one would expect to be on a literary prize long list). I can see how the central character got sucked in in the first place, but not how he was complicit in what happened to the old woman. I liked the sense of place/location, though. Hi Maxine – I’ve just looked up your review. I can see we’re in agreement on this one! Thanks Stu. I have a friend who works in Waterstones and he tells me the book is selling like hot cakes so there are plenty of people out there interested enough to read it. It will be interesting to see if the book wins in October Margot. I suspect crime ficiton will have strong support from both Stella Rimington and Susan Hill. Have picked this up and put it down a couple of times in the store. I’ve just finished William Ryan’s The Holy Thief set in Moscow in 1936 and the first few pages of Snowdrops just doesn’t match it for atmosphere and feel. And for me it definitely didn’t read like Graham Greene or John Le Carre. I need to give it a full read to say more. Esi Edugyan’s Half Blood Blues, which is also on the Booker shortlist, is a story that grabbed me immediately and hooked me in. I’ve just read your review of Half Blood Blues, Rob. Another book for my reading list I think. I thought this was a pretty decent book, and definitely above average as crime novels go. The Russian setting definitely adds an extra dimension and for me it’s definitely one I’d recommend. As the commenters above mentioned – Half Blood Blues is probably even better and would have been my prize winner for the Booker last year. Thanks for dropping by David. I’ve not read ‘Half Blood Blues’ but I saw some good reviews recommending it. I’m glad you enjoyed ‘Snowdrops’ and I was pleased to see a crime novel in the shortlist. I think my problem with it was I didn’t quite believe the scenario but the Russia setting was a big plus point.